Donna Justin called White Stone Marketing one day to inquire about our services. 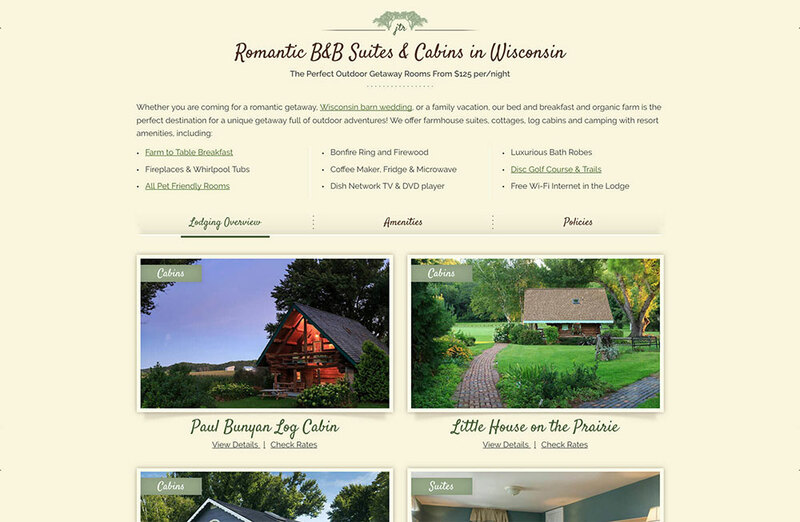 She was looking for someone to really take over many aspects of her marketing and revitalize her wedding business along with her resort accommodations as well. Her existing website was confusing and cumbersome to use and certainly not converting in the way it should for this type of property. 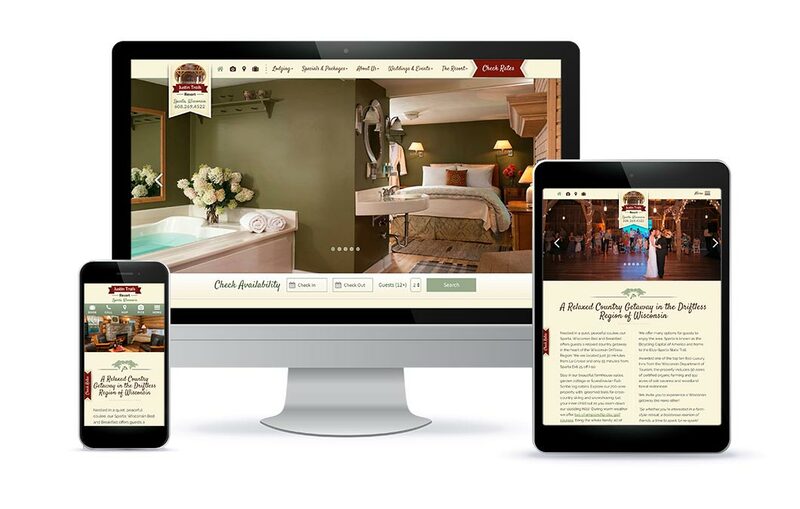 In fact, we felt her current site was actually hurting her business and when we went on our on-site visit (something we do for every new White Stone Marketing client), we built her a new, temporary site while we were there for her to use until we could complete a new custom design. 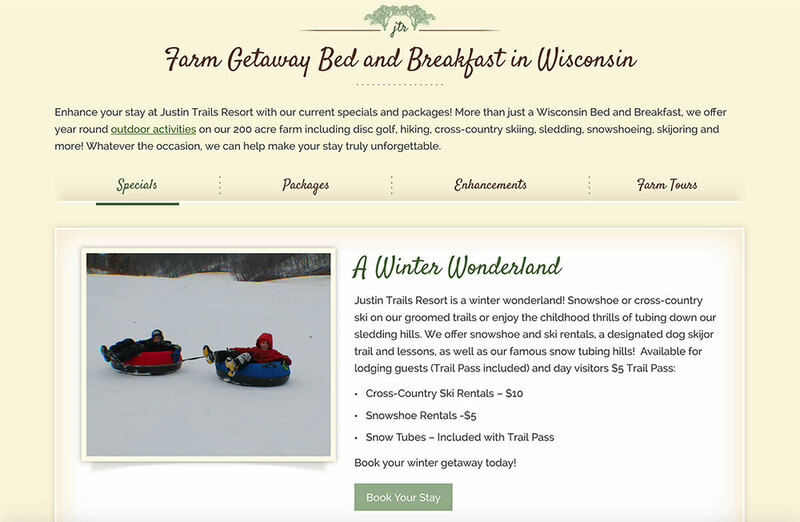 Because of the unique offerings Justin Trails Resort provides, only a skillfully crafted custom design could sufficiently express the many aspects of what the resort provides to the public. 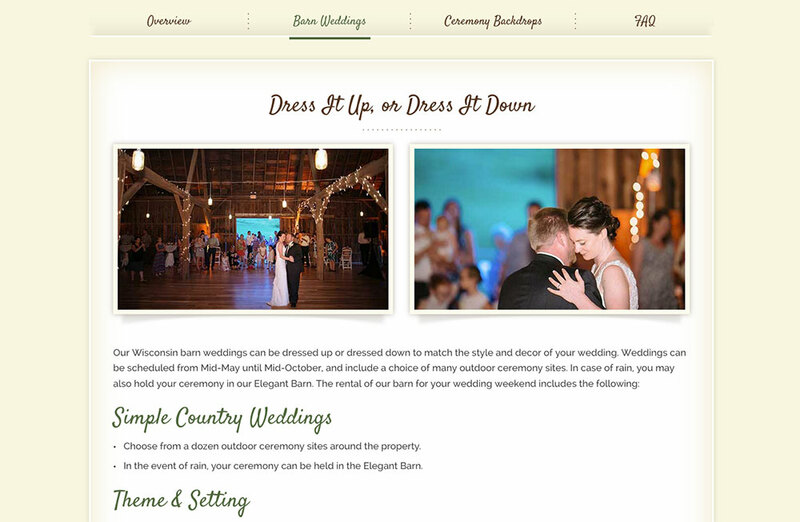 For example, how do you equally represent her fun cabins, her barn wedding venue, the farm tours and the amazing disc golf course all in one site? The answer was the talented design team at White Stone Marketing! 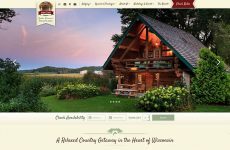 Take a look at this whimsical site that reflects both the personality of the owners as well as the personality of the property. 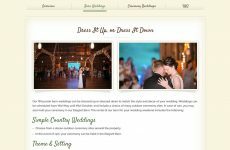 You’ll note the custom logo design, the sprawling farmland, and the elegant barn weddings all vying for your attention in a cohesive and logical format instead of all at one time as the previous website had done. 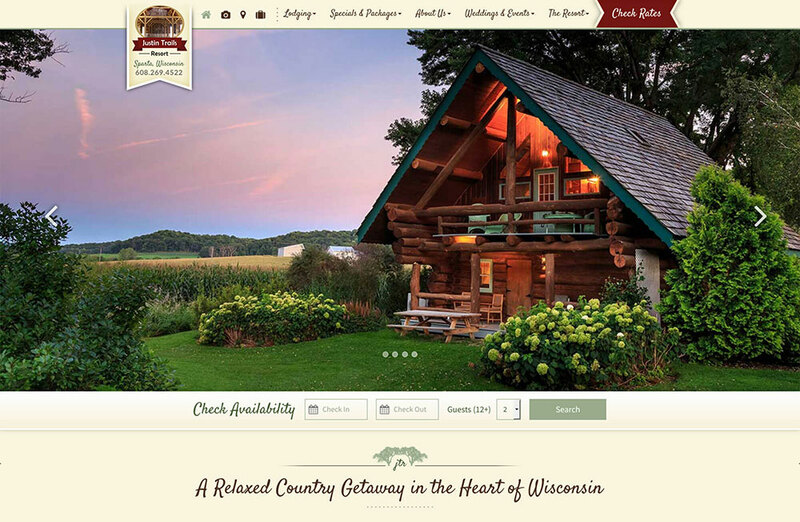 In fact, the numbers truly reflect the inspiration the site generates for this Wisconsin bed and breakfast. Donna – I’m so glad you have put your trust in us to carry your vision through to fruition. We don’t take that for granted and we appreciate everything you do to make Justin Trails Resort the fantastic property it is today!